I've been working to create some Word Work activities that can be used for each short vowel as it is taught (for a little consistancy during Daily 5). Here's a little activity I call "Spin a Word." 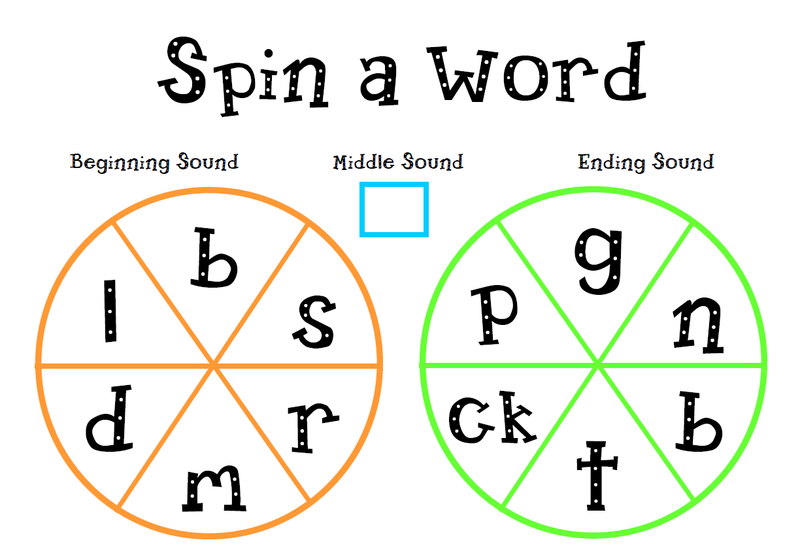 The kids will use a paper clip and pencil to spin the beginning sound and ending sound. The middle sound will depend on which vowel I'm teaching. I made a couple of different versions. The first one is generic. 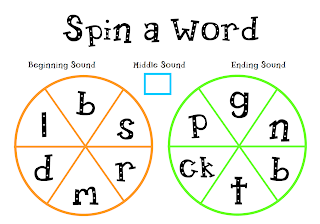 After laminating the spinner sheet, you can write in your own vowel sound. I also made some with the vowel already on the page. I tried to pick beginning/ending sounds that were a little more specific to actual word families. Thank you so much! These will be great word building activities! I will give these a try for Daily 5 too! They look great. These will go great during Word Work. Hi Lauren...you commented on my blog this morning so I thought I would return the favor!! I am following you, and you are now on my blog roll! I just downloaded spin-a-word!! Love it!! These are fabulous! I have this site saved and will visit often and not just for the activities. What a fantastic idea! I love it! Your blog has some great ideas. After seeing all the wonderful resources out there, I have started a blog myself (I'm definitely still in the learning phase!). Maybe you can visit me? Got these downloaded and ready to laminate! These are awesome! I just found your blog. Your spinner mat is so cute. Thanks! I'll be using this as soon as school starts.